The online gambling industry has seen many changes over the course of the last year, and the introduction of cryptocurrencies and crypto-based casinos was one of the biggest developments in 2018. Forecasts predict that 2019 should be a marking year for online gambling and new trends are set to redefine and disrupt whole sectors of the industry. Let’s take a look at some of the biggest trends to watch out for in 2019 and their possible impact on the industry as a whole. One of the things that cryptos brought to the online gambling world is anonymity, which allows players from all over the world to access online gambling options in areas where it is outlawed. Places like Taiwan, for instance, are now seeing a boom of online casinos that accept cryptocurrencies. Sites like Online Casino TW allow Taiwanese players to browse through a variety of online casinos that accept Bitcoin. And we can only expect the demand to keep growing over the next few years. Mobile and social gaming is having a huge effect on the online gambling world and more people than ever are turning to this option. We can expect an increasing number of F2P (free to play) gaming options to be introduced. While free to play games do not generate direct revenue, profits can still be made by charging players to access certain features or buy a variety of virtual goods. More players than ever are showing a preference towards more realistic online casinos that allow them to replicate a real live casino experience from the privacy of their home. More and more casinos are now using this, not only to promote their online option, but to promote their live casinos as well. Live dealers in games like Baccarat and Blackjack are especially popular with online casino players and many casinos are concentrating their efforts on this sector by providing a better experience through all platforms. Another way that online casinos are trying to create a more immersive experience is through virtual reality. Virtual reality technology is becoming more and more accessible to the general public, which could push VR based casinos to the forefront. Net Entertainment, one of the industry’s leading software providers, has already made clear that they are ready to lead the way when they recently introduced a VR version of their popular Jack and the Beanstalk slot machine. And we can expect them to release more VR versions of their more popular games as the demand increases. Land based casinos are slowly but surely feeling the pressure from their online counterparts and are experiencing somewhat of a decline with the recent explosion of online gambling options. Online casinos have the advantage of not only offering more privacy and convenience to their players, but of offering a better gaming experience as well. Some online casinos have a quasi-infinite number of games to offer players, something land based casinos can’t compete with. The online gambling world is constantly changing and evolving to meet new realities and challenges. 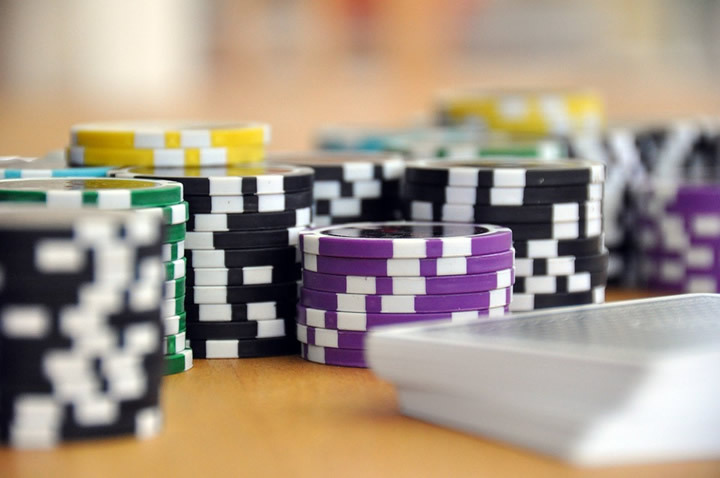 These few trends are set to completely change the online gambling landscape and open a whole new set of possibilities.